In a few hours’ time Conor McGregor will step into the ring for his first professional boxing match. If the experts have called it right he will exit a few minutes’ later rather the worse for wear, but up to £100 million richer. The 29-year-old Irishman from the wrong side of the tracks is at the centre of one of the most extraordinary sporting events ever staged. He’s made his name in martial arts but the fight, in Las Vegas of course, will see him go toe-to-toe with Floyd Mayweather. McGregor’s opponent just happens to be one of boxing’s greats, undefeated in 49 contests but now 40-years-old. The bout, said to be worth a total of £400 million and the richest in history, will be waged according to boxing rules. In theory the novice McGregor, who normally competes barefoot in a cage and relies on kicking as well as punching, shouldn’t have a prayer. One observer has likened it to a battle between a shark and a tiger – taking place on land. Yet, despite some people insisting the whole spectacle is a farce it’s captured the world’s imagination. 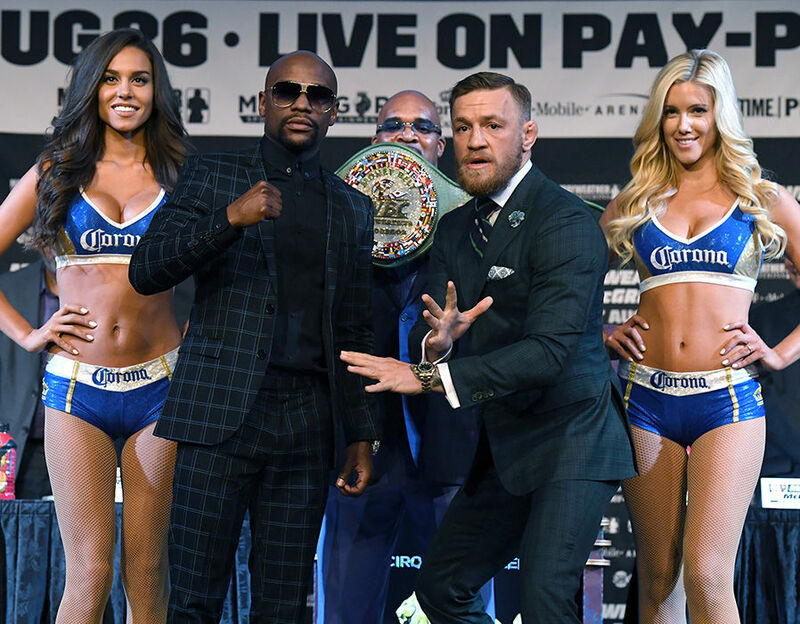 More than five million people are expected to tune in on pay per view. The question on everyone’s lips as two sports collide is: can Conor McGregor somehow upset the odds? He was born in Crumlin, a working class suburb in the south of Dublin, in 1988. It’s a proud but rough area, which has a high crime rate and has been a battleground in a feud between rival gangs. Frequently it has spilled over into bloodshed and at last count there have been 16 gangrelated murders since 2000. The son of Tony and Margaret McGregor, young Conor had a stable upbringing. Like many boys in the neighbourhood, he learned how to look after himself by joining a local boxing club. He was All Ireland champion and could easily have made it as a professional boxer but became interested in Mixed Martial Arts (MMA), which has its origins in the US. 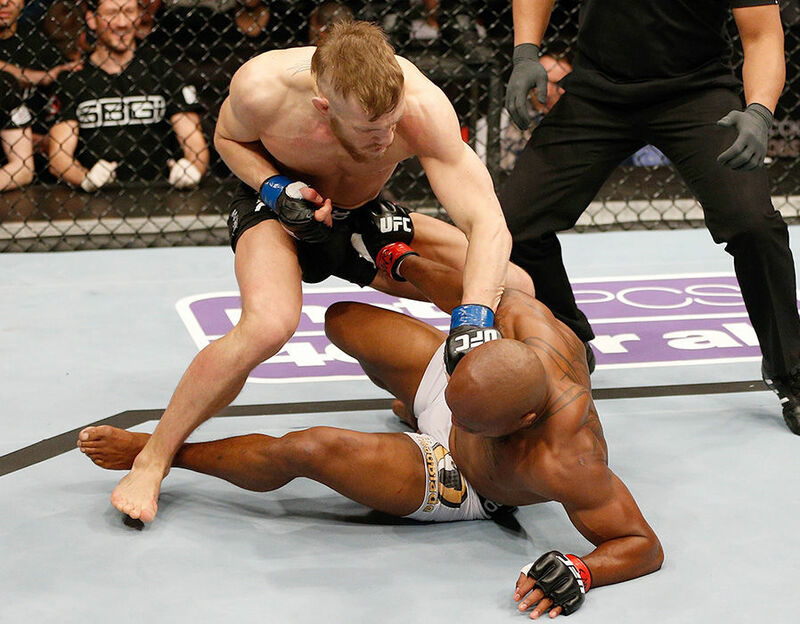 As its name suggests, MMA is a blend of combat sports and pretty much anything goes. McGregor, who has two sisters, dreamed of going to the States to become a cage fighter but his father was keen for him to go to college. There were furious rows as Tony, a taxi driver who later moved his family to the more salubrious suburb of Lucan, argued that MMA was an empty fantasy. He persuaded Conor, who was intelligent but had no interest in furthering his education, to begin a plumbing apprenticeship which he loathed. “I had no love for plumbing,” the fighter says. “But it’s weird how society works. Rather than allowing you time to find the thing you love and can pursue with complete conviction we’re told: ‘You must work’ – no matter how much you dislike it. “I’m looking around on site and I’m looking at the fully qualified people with their bad backs and I realised I didn’t want to go down that route. Afterwards came a spell on the dole. McGregor now owns a yacht called The 188 – the amount of Euros he would receive in benefits. It’s a reminder of those days in Dublin when he struggled to find his identity. By that stage McGregor was already training in MMA, at a gym in Lucan. Aged 18 he made a victorious debut in the sport in an amateur fight in his home city and turned pro immediately. The following year, 2008, he won his first fight for money in the lightweight category and over the next few years was earmarked as one of MMA’s brightest prospects. His big break came in 2013 when Dana White, president of Ultimate Fighting Championship (UFC), the main organisation running MMA, visited Dublin and was urged by fans to take a look at McGregor. White was so impressed that he signed the Irishman, who hasn’t looked back. 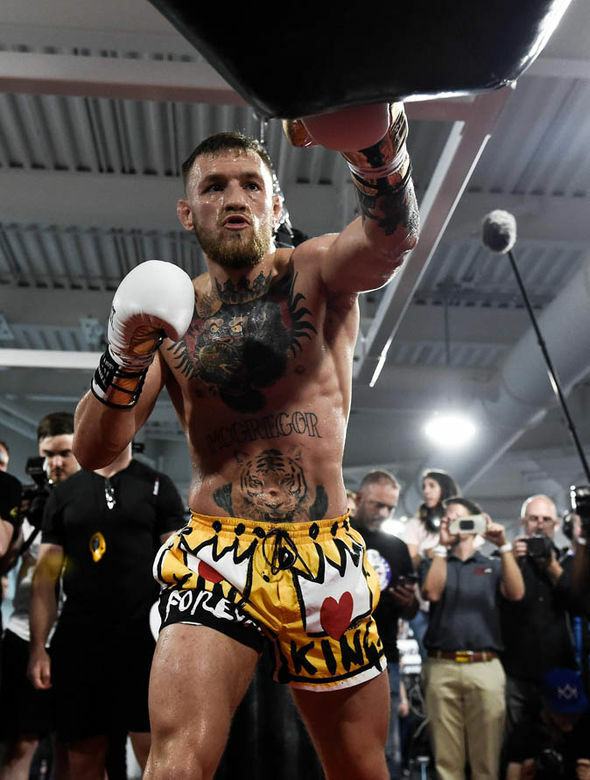 McGregor, who is fluent in Gaelic, began fighting at UFC events around the world and quickly became a firm favourite for his skill and aggressive style. He’s now the dominant figure in UFC, a double champion who has fought at three weights. He is renowned for his utter self-belief and dedication to MMA. 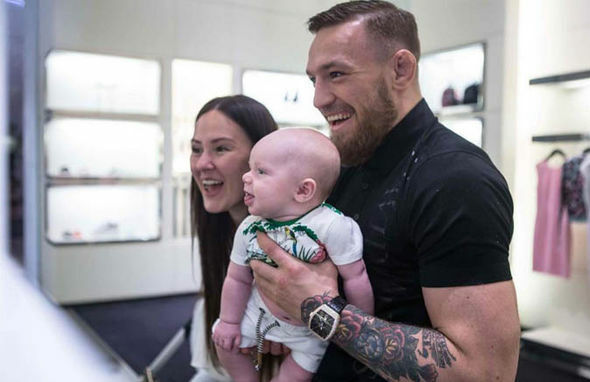 “I am in a bubble,” says McGregor, who admits there’s little time in his life for anything other than fighting and his family. His shortest MMA fight was a mere four seconds, when he felled his bewildered opponent with a swinging punch. He became featherweight champ in just 13 seconds in 2015. Away from the ring he’s been with girlfriend Dee Devlin since they met in a Dublin nightclub in 2008. The martial arts fighter’s other great love is hard cash and, as the yacht shows, he’s immersed himself in the trappings of success. He’s also bought BMW cars for his sisters and paid off their mortgages. 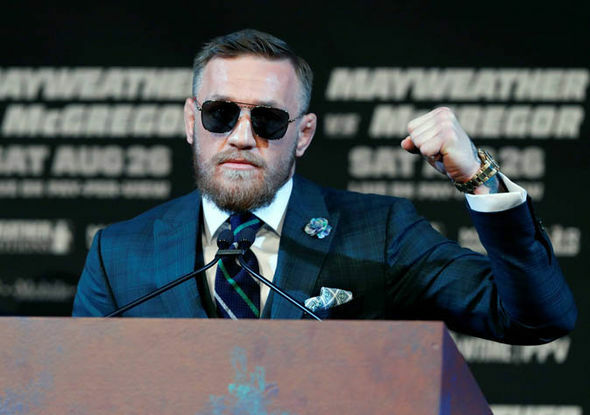 “I am going for multi-multi millions,” says McGregor, who also has a reputation for being brash. On his chest he has a tattoo of a gorilla eating a heart and he’s been described as “The Irish Muhammad Ali”. 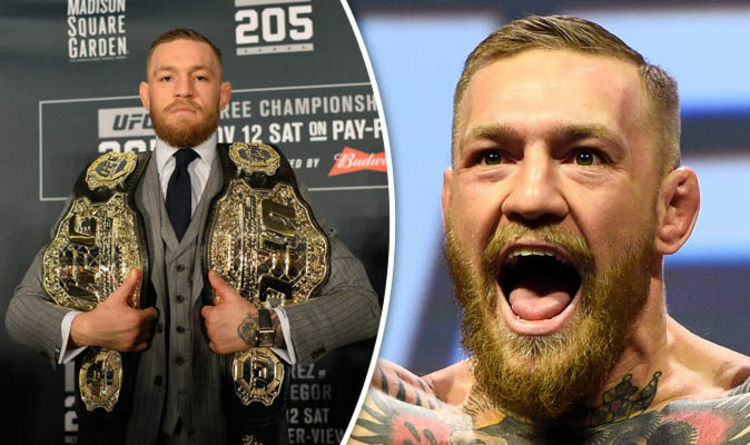 It was the idea of the MMA’s leading star to share a ring with Mayweather in an eye-catching, money-spinning boxing bout in glitzy Las Vegas where UFC is based. It’s no coincidence that McGregor sought a fight with a man who, apart from being considered the best boxer of his generation, has the nickname Money. 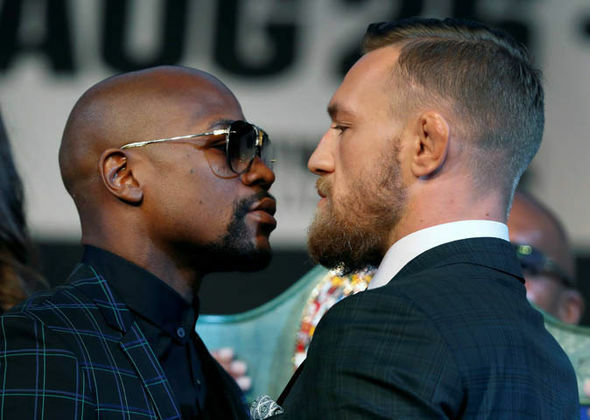 McGregor began taunting Mayweather a couple of years ago and, although the trash talk was initially ignored, the calls gathered momentum. Eventually the riches on offer became too good to refuse and Mayweather, who last fought two years ago, was tempted out of retirement. Ever since, the hype has been ramped up mercilessly. Mayweather, already worth £250 million, is said to be receiving a bigger purse than the young upstart who is taking a big gamble that the boxing skills he honed in Crumlin many years ago will serve him well. He also claims not to feel pain.